Below is an adaptation of the live webinar delivered by Andrew Samalin in 2016. His comments have been edited for clarity and length. You can read the summary article below as part of the 3rd Qtr 2016 Retirement InSight and Trends Newsletter. 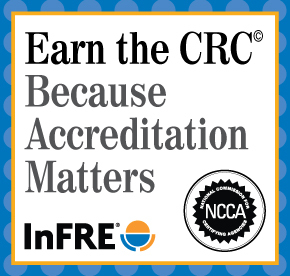 You may also choose to take the full length course here, worth 1.5 CRC®, CFP® and/or PACE CE. 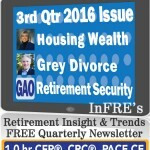 This article is part of InFRE’s 2016 3rd Qtr Issue of Retirement Insight and Trends. It is likely that there isn’t anyone who hasn’t been affected by it, either personally, or through a family member, a friend, or someone who you work with. So, it is, for better or for worse – and many times, both – that divorce is in the vernacular of our society. It is a trying and difficult event that people go through. Our role as professionals is to smooth the road as much as possible. How an equitable statement does not necessarily mean an equal split of assets. How divorce may affect Social Security for each spouse. How retirement assets and pensions can be divided. Assume Jack is age 58, Mary is 62, and they have decided to end their 28-year marriage. They have two grown children. Mary wants to stay in the house. Their home is valued at $1.5 million, and there’s no mortgage. They have a $1 million IRA, $1.25 million in CDs, and a non-qualifying investment account worth $1.3 million in company stock, which doesn’t pay any dividends. Both have their concerns. Jack is concerned that his job is in jeopardy. He is employed, by a major bank and earns $350,000 a year. Mary happens to be extremely risk-averse. She isn’t prepared to work. She has no experience in finances. Both have reasonable credit scores. The divorce settlement requires Jack to pay Mary $135,000 a year for ten years. Mary is also awarded the house and the IRA, and Jack keeps the investment account and the CDs, which is what they were looking for in terms of their risk profiling. Here is an analysis that’s not necessarily divorce financial planning, but is something you should be familiar with when evaluating divorce and its effect on retirement security. 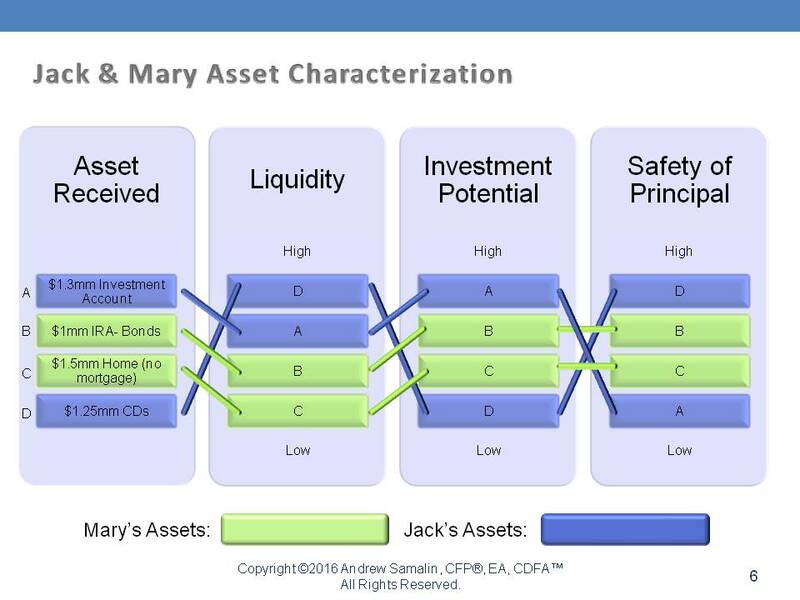 In the graph below, Jack’s assets are in blue and Mary’s assets are in green. There are four different categories, going from left to right: assets received, liquidity, investment potential, and safety of principal. Asset A is the $1.3 million investment account. You can see that it has reasonably high liquidity, the investment potential is very high, and the safety of principal is low. On the other hand, Jack also gets Asset D, which is the $1.25 million in CDs. Again, it has high liquidity, low investment potential, and high safety of principal. So, he bookends it with regard to risk and reward. Mary, on the other hand, gets what she was looking for. She wants the house, and she wants the retirement to be well in hand. So Asset B, the $1 million IRA in bonds, has low liquidity, reasonably low potential, and reasonable safety of principal. The home, has very low liquidity, reasonable investment potential, and safety of principal. Of course, apparent safety may not equal actual safety. Let’s look at Jack’s income allocation, the income of $350,000, of which he pays Mary $135,000 for ten years. He has living expenses and taxes of $175,000, and savings of $40,000. The income paid through maintenance, aka alimony, is deductible to the payor and is taxable to the payee under Sections 71 and 215 of the Code. Mary, on the other hand, has to show that as taxable income. Mary has living expenses and taxes of $90,700 and savings of $44,000. She will have a home with no mortgage and a great retirement plan. However, is Mary safe? What is she missing? The reality is that she’s cornered into a liquidity trap, and it could be totally unintentional and innocent. What if Jack loses his job? This happens all the time, so let’s talk about their respective choices. Jack has no retirement plan, they’re both in need of income, and Mary’s asset base is at risk. Have her attorney assert her rights to collect the maintenance payment. Create liquidity at or near the time of the divorce settlement with a home equity line of credit (HELOC), and have Jack cosign. Use the settlement document and a canceled maintenance check to get a standard mortgage. In the event that that’s not possible, divide the IRA into smaller pieces and start a 72(t) program (a substantially equal, periodic payment program). Mary is 62, so consider a reverse mortgage on the home. If needed it can be repaid from the maintenance currently in arrears. What about her Social Security? Now, what about Jack? Jack has this obligation of a $135,000 payment, but the reality of it is that his circumstances have changed. His attorney would likely have the annual maintenance payment reduced due to a change in circumstances. Many settlement agreements have change-in-circumstances clause because, at the end of the day, if they were married, their circumstances certainly would have changed, and their marital lifestyle would have changed, so it’s not unreasonable to assume that while Mary is expecting a certain level of income, due to this compression in income, then so too would her lifestyle change just has Jack’s had. Another option for Jack is to negotiate a lower margin rate and borrow off of existing assets, incurring a reasonable interest rate while making sure that the assets remain in place for future retirement. Remember, Mary was given the retirement account. Jack can increase his cash flow by restructuring current investment accounts into higher income-producing assets so that he can bridge that gap. Maybe instead of becoming a growth investor, he is now a value investor or a bond investor. At the end of the day, something needs to happen, and both parties have their rights and their obligations with regard to that. The thing I would like for all of you to take away from this is that if cash is king, liquidity is queen. Both of them are critical, and the ability to maneuver financially is a great source of comfort for our clients. Keep in mind that we’re talking about creating liquidity on the outset of the divorce negotiations. This is something that could create a release valve for both of them to maneuver through challenging circumstances. There is a tremendous amount of poverty with regard to the non-moneyed ex-spouse – again, traditionally the woman – where there isn’t enough income. What’s interesting is that there is an institutional bias against the non-moneyed spouse, in my opinion, at the Social Security Administration. This is not a political comment. It’s a comment that, as the non-moneyed spouse, they are entitled to get 50 percent of the working spouse’s benefit at no cost to the working spouse. What that means is that the moneyed spouse gets 100 cents on the dollar, but the non-moneyed spouse, assuming they weren’t working, only gets 50 cents on the dollar, but the rent that each of them needs to pay is identical. I think that’s changing. You are entitled to receive Social Security retirement or disability benefits. Here’s the takeaway for everyone: You need to ask your client how long they’re been married. I would confirm that length, and then if it’s close to ten years, make sure the client and their counsel are aware of this ten-year break-even. Imagine the circumstance that they’re a couple of months away from the ten years, and you didn’t tell them. That would probably cause a call to your E&O carrier. If they remarry, they generally cannot collect benefits on their former spouse’s record unless their later marriage ends (by death, divorce, or annulment). If the higher-earning spouse has not applied for retirement benefits, but can qualify for them, the lower-earning spouse can receive benefits on the higher-earning spouse’s record if they have been divorced for at least two years. 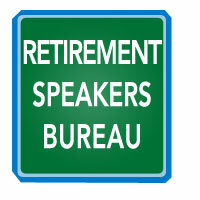 If the lower-earning spouse is eligible for retirement benefits based upon their record AND the higher-earning spouse’s benefits, the Social Security Administration (SSA) will pay based on the higher amount, drawing first from the lower-earning spouse’s record, and the balance from the higher-earning spouse’s record until it equals the higher amount. Keep in mind that if they are working while receiving benefits, the retirement benefit earnings limit still applies. Generally, retirement plans include defined benefit plans (pensions), defined contribution plans, (401(k)s, 403(b)s, 457s and SEPs), IRAs, nonqualified plans (stock options, ESOPs, deferred comp), and compensation plans that are future-based, merit-oriented, and employer-optional. One of the negotiations in divorce is how to split these plans. How do you split them? There are a couple of ways. With each one of them, by the way, it’s critical that you have a professional draft some of these documents. These have some very, very serious ramifications if they’re done incorrectly or incompletely, and a lot of times, people don’t know the questions to ask, so they don’t know what they don’t know. Because the prices are so reasonable to have a very qualified drafter of a qualified domestic relations order (QDRO), make sure that you engage and become familiar with someone in your local area and hand this work off to them because it’s very, very important. How do you divide a defined contribution plan? If it’s such that it’s 50-50 in a community property state, or 70-30, or 30-70, depending on what the agreement is, that then gets coded and the QDRO gets drafted. It gets reviewed and signed by a judge. The clients sign it. The attorneys sign it. It goes to the human resources department, and the funds then get split. The funds then go from the employee’s plan and account into the non-employee spouse’s account or their IRA. There are multiple ways of configuring this. Some plans will allow for the non-moneyed spouse to maintain an account, but again, this is extremely specific to the summary plan document set up by the company, and the QDRO language needs to match what is available to the participant. What about IRAs? Are they covered under a QDRO? No, they’re covered under a letter of authorization. You need to get to the securities firm to determine the requirements to execute that division of the assets, but generally, it requires a letter of authorization along with a signed divorce decree or separation agreement. Do not transfer those assets before those documents are in place. You do not want to be accused of creating a distribution, and thus a taxable event out of a retirement plan. 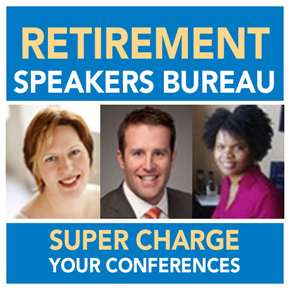 How do you monetize retirement assets if your client needs income? In the case of a defined contribution plan, the 401(k) can be rolled into the IRA. The alternative payee, meaning the non-employee spouse, can take the cash from the 401(k) on the way to the IRA penalty-free; however, taxes are due. But once it is in the IRA and the client is under 59 and a half, 10 percent penalty is due, as well as taxes. What about a 401(k) loan? Up to 50 percent of the vested balance, with a maximum loan amount of $50,000, generally must be paid back within five years. But what if they didn’t do it on the way? What if they didn’t pull out cash on the way from a 401(k) into the IRA? Earlier we offered a solution for Mary with regard to the Section 72(t), a very interesting and underutilized section of the Code that allows you to get access to cash without penalty through substantially equal periodic payments. Payments must be greater than five years or until the client is 59½, whichever is longer. Once the payments start, they can’t stop. There are three methods of computing 72(t) distributions: the minimum distribution method, the fixed amortization method, and the fixed annuitization method. Each end up with a different result. Let’s say there is a million-dollar IRA. You do not need to monetize the entire million. You can move, let’s say, $100,000 or $200,000 into a separate IRA and do a 72(t) based on that, leaving the balance of the larger account alone. If you find that you need more money, that’s fine; move another chunk over into another IRA to do 72(t) distributions. What about a defined benefit plan? They may not have cash values; they are an actuarial construct, and there could be a lump sums due, or payments made. That’s the definition of a pension, in many cases, where the company is guaranteeing a certain level of monthly cash flow from the day of the retirement until death, or to some other term. Defined benefit plans can only be split by a QDRO. There are two ways to split the assets: shared interest or separate interest. What’s the difference? In the separate interest, the alternative payee’s benefits are adjusted to their own life expectancy. Separate-interest QDROs don’t include a joint and survivor protection. The employee is free to elect any form of benefits for their remaining share. There’s no right of reversion to the employee if the alternative dies first. We’re taking a 30,000-foot view on this; this can get very technical. With a shared interest, an alternative payee shares the employee’s benefits once they are in pay status. There is slightly less control for the ex-spouse. The alternative payee must wait until the employee goes into pay status. The benefits revert back to the employee upon the alternative payee’s death. The employee must choose joint and survivor benefits to ensure payments to the alternative payee will extend benefits after the employee’s death. Divorce Financial Planning has been getting a lot of media lately, so here is a little bit of a primer on what is divorce financial planning. Divorce financial planning takes place from the date of the commencement to the end of the divorce. Post-divorce asset management happens once the case is settled. These are two very different businesses. You need to pick one and do only one. Other attorneys will call you out on an attempt to do both. Divorce financial planning requires extensive tax experience, valuation degrees, and/or real estate experience. It doesn’t mean you need to be a pro or an expert in each one of those field; it’s impossible to be an absolute expert in every single field. There is an awful lot of tax work here; valuation is important; and it is extremely important to be adept in real estate. You can’t just say, “Well, let’s just sell the house and invest the money.” That’s malpractice, because it could very well be that that house is important to Mr. or Mrs. Jones. What are the pros and cons of divorce financial planning? Pro are that it’s very technical and you really add value. Cons are that it takes a lot of time, it takes a lot of focus, and, frankly, it takes a lot of heart because it’s challenging as a human being to ignore what’s going on at the table and be that professional that sticks to the task at hand, which is for you to assist your client through the process. What is the compensation structure? There is no quid pro quo. You don’t give away divorce financial planning in exchange for asset management. As the ex-president of the Association of Divorce Financial Planners, I can tell you that we will not allow someone to become a member if they don’t have an hourly compensation structure. You should be paid in the same way that the attorneys and mental health professionals get paid. Why? It removes bias, and it is that removal of bias that allows us to have a profession. What type of practitioner is this practice model good for? You really can’t delegate it, and you really can’t scale it, so you need time to do it. You also need time to get great at it; it’s a constant learning process. 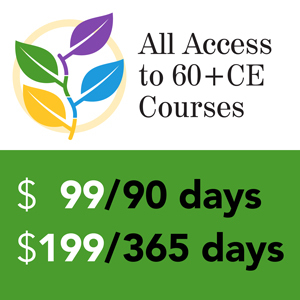 You’re going to learn about other great fields: law, taxes, and the human condition. Believe it or not, being a great divorce financial planner makes you a great financial planner for your non-divorce work. 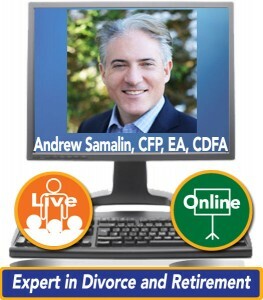 Andrew Samalin, CFP, EA, CDFA, Past president of the Association of Divorce Financial Planners, is a 25 year veteran financial specialist assisting attorneys, CPAs and other professionals manage their families’, firms’, and clients’ financial planning and wealth management needs. Samalin has focused his practice on divorce financial planning and other challenging financial transitions through his SEC Registered Investment Advisory firm Samalin Investment Counsel, LLC and affiliate Samalin Divorce Finance, LLC. He specializes in helping clients with personal financial analytics and wealth management needs on a fee-only basis.